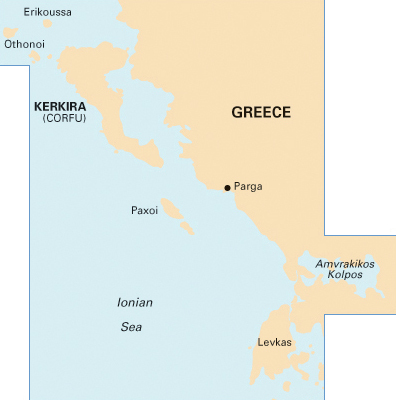 The fertile islands of the Ionian sea - covered in pine, cypress and colourful fields of flowers - are in direct contrast with the adjacent barren mountainous mainland of Greece. Likewise the architecture of the picturesque ports is different, featuring red-tiled houses in eclectic Italian and French styles. 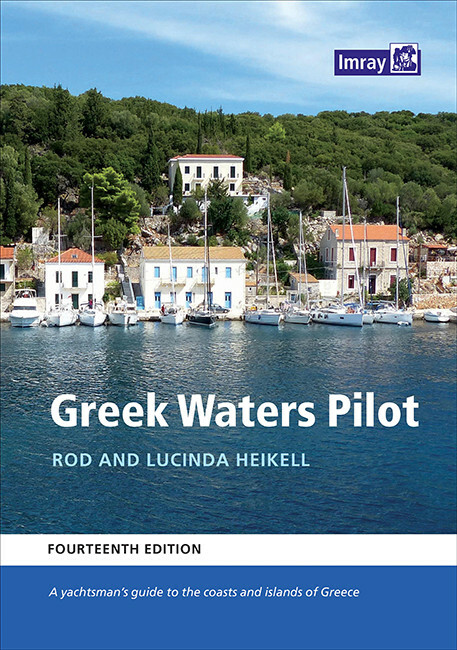 These scenic surroundings - together with favourable winds - proof an ideal sailing ground with two charter bases, Corfu and Lefkas . Especially Lefkas port is ideally located amidst a plethora of beautiful ports and bays, and a 1-week itinerary can be very short in overall distance. Therefore itineraries G, H, I, J and of course a one way itinerary Corfu to Lefkas are recommended . The following table gives the characteristics of the Ionian Sea and you might also want to compare the other Greek sailing areas with the Ionian Sea. More dark blue stars the better . The following itineraries are based on both the experiences of my visitors as well as my own experiences as a captain. These routes are biased towards tranquil and unspoiled ports rather than touristy hubs like Nidri or perhaps Argostoli. Please toggle between the itineraries with the A through L buttons in the clickable map below or by simply clicking a button in a table. The Winds button, also in the clickable map, will give you the prevailing wind directions of the typical Ionian summer wind, the Maistro. Early in the day - especially near North Corfu and in the Corfu Channel, a dense fog may reduce visibility to about ½ mile. The afternoon sun will soon burn it off. Be aware of possible violent gusts on the leeward side of the islands due to high land, for instance the eastern coastlines of Ithaca and Zakinthos. The Maistro fair-weather-wind (Maistros or Maestral) is the usual breeze in July and August. This pleasant north-west wind rises in the afternoon and usually dies at sunset . Clouds near the summits act as a tell-tale for the stronger version. In early and late season the Maistro is less developed and sometimes fails to blow. At this time depressions may cross the area, which will often bring strong to gale force southerlies that can abruptly swing around to strong northerlies. Less frequent are the westerly winds (moderate to strong) off the west and south Peloponnese coast. Early in the evening katabatic winds could develop off the high mainland mountains usually from the north-east, possible reaching 6 Bft (25 knots) and lasting 2 to 3 hours. Strong southerlies could turn to the north possibly increasing in strength as well . In the spring - not later than May - the Scirocco or Sirocco - another southern wind - can bring humid heat and the red sand of the Sahara. The humidity often results in low stratus clouds. To sail clear of the Ionian Charter Milk Run try to embark on another day than Saturday, or sail for more than one week . Most milk runs start at Lefkas and follow variations of my A, B and D itineraries, focussing on Lefkas island, Meganisi, Ithaca and Kefalonia instead of Kalamos, Kastos and the Greek mainland. The beautiful estuary of the Ambracian Gulf or Amvrakikos Bay, just east of Preveza, is a less-travelled nature reserve well worth visiting. There are a couple of interesting anchorages and two secluded little ports (Menidion and Votsina). The shallow waters of the Gulf are surrounded by lagoons and marshlands and home to the endangered Dalmatian Pelican (Pelecanus crispus) as well as small populations of Caretta Caretta turtles, Spotted Eagles (aquila clanga), Lesser Spotted Eagles (aquila Pomarina) and Pygmy Cormorants. Kyparissia port is a sweet town plus chora with a Byzantine-Frankish fortress and stunning green fields all around (see aerial photo). Pylos port and bay - although boosting a marina - is quite charming, with French allure and an impressive Venetian castle. Methoni port is even further south and is known for its wines and pork. A delightful place with - again - a Venetian fort and fertile orchards. Koroni, on the south coast of the peloponnese, is a bustling must-see town set within and next to a fabulous Venetian Fortress with good restaurants near the harbour. A 2-weeks itinerary Corfu-Lefkas opens up a lot of possibilities: Day 1: Corfu, Day 2: Sagiada, Day 3: Erikoussa, Day 4: Othoni, Day 5: Paleokastritsa, Day 6: Mourtos, Day 7: Parga, Day 8: Paxos, Day 9: Fiscardo, Day 10: Astakos, Day 11: Kalamos, Day 12: Kastos, Day 13: Meganisi, Day 14: Lefkas. 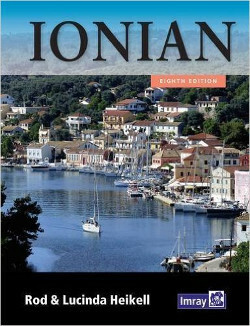 You could also include the Ambracian Gulf or the island of Ithaca. 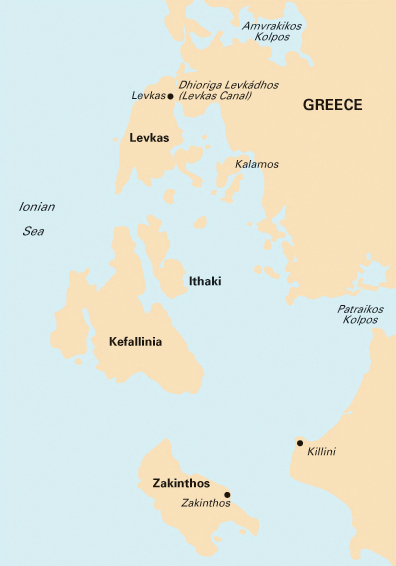 The transfer from Levkas to Corfu takes about 3½ hours by taxi and ferry. Costs: 1 taxi /4 persons EURO 80 and ferry per person EURO 3.